Sargsyan reminded that yet during the campaign he had announced his intention to give up his parliamentary mandate soon after ANC’s entrance to the parliament, and had wished success to ANC in its future parliamentary activity. If Sargsyan (the brother of former Minister of Defense Vazgen Sargsyan, slain in the 1999 parliament shootout) renounces his NA seat, former Military Prosecutor Gagik Jhangiryan will become an MP through the ANC’s list. 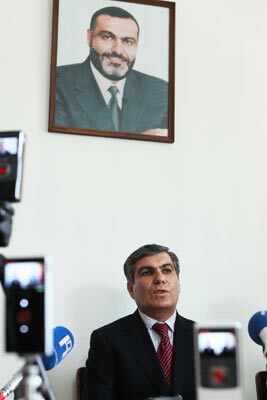 Earlier, ANC leader and Armenia’s First President Levon Ter-Petrosyan likewise had announced of giving up his parliamentary mandate, and, as a result, former Prime Minister of Armenia Hrant Bagratyan will become an NA deputy. There are speculations circulated in press that Stepan Demirchyan, who was the second on the ANC proportional list will also give up his mandate.